The Roland FP 60 SuperNATURAL Digital Piano is the latest release from Roland's new lineup. The FP 60 is equipped with the acclaimed SuperNATURAL piano sound engine, along with a 288-voice polyphony for a versatile performance. Players have access to a full host of voices including piano, electric piano, strings, organ and many more. Like others from the FP series, the new FP 60 features 88 ivory feel keys, offering the same authentic feel as an acoustic piano with a sensitive key touch for players who use a lighter style. An onboard speaker system delivers a powerful sound that is perfect for home practice or rehearsals. Players can also connect their smartphone via Bluetooth and play along to their favourite songs, as well as having full access to Roland's Piano Partner 2 app for practice sessions. With all these great features and modern aesthetics, the FP 60 is perfect for any level of player wanting high-quality and versatility in a portable format. This model is also available in black. This piano comes with a purpose-built stand and pedals, so you have everything you need to play and practise in comfort. The FP 60 SuperNATURAL Digital Piano features Roland's advanced piano technologies, delivering a high-quality tone in a portable format that any level of player will love. Like others in the FP series, the FP 60 digital piano is equipped with a SuperNATURAL engine, recreating the rich, dynamic sound of an acoustic grand piano, along with the feel. With its 288 notes of polyphony and included damper pedal, players can achieve an authentic sound. The FP 60 also includes a PHA-4 keyboard with ivory feel keys which feature sensing technology to accurately translate every nuance of your playing style. 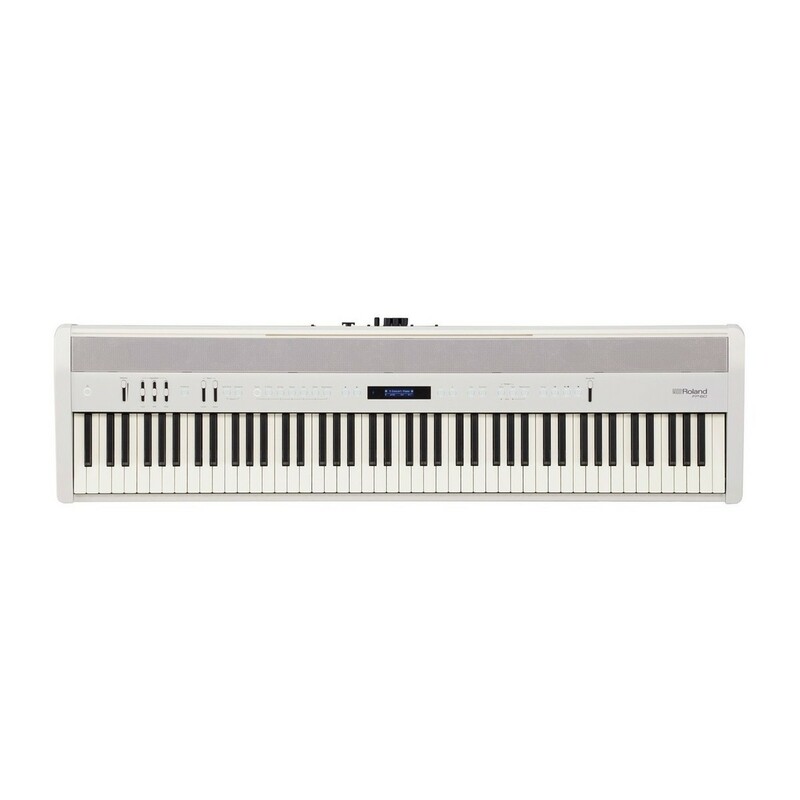 Despite its compact size, the Roland FP 60 SuperNATURAL Digital Piano features a powerful onboard speaker system, perfect for home practicing, rehearsals and even small venues, eliminating the need for an external amplifier. This model is equipped with two speakers and a speaker box, and delivers an accurate tone that captures every nuance of your playing style. Dedicated front panel controls are also on offer, with a three-band equaliser providing effortless tonal shaping abilities. The Roland FP 60 SuperNATURAL features a full host of onboard voices, allowing you to achieve a versatile performance no matter what the genre. These include pro-grade electric pianos, strings, organs, and synths. You can also store your favourite sounds, along with useful settings such as layer and splits, for instant recall. As well as offering an authentic tone and a versatile selection of voices, the FP 60 is also equipped with Bluetooth connectivity. Simple connect your smartphone or tablet using Bluetooth and play along to your favourite songs. This is perfect for students and players wishing to play along to a backing track. 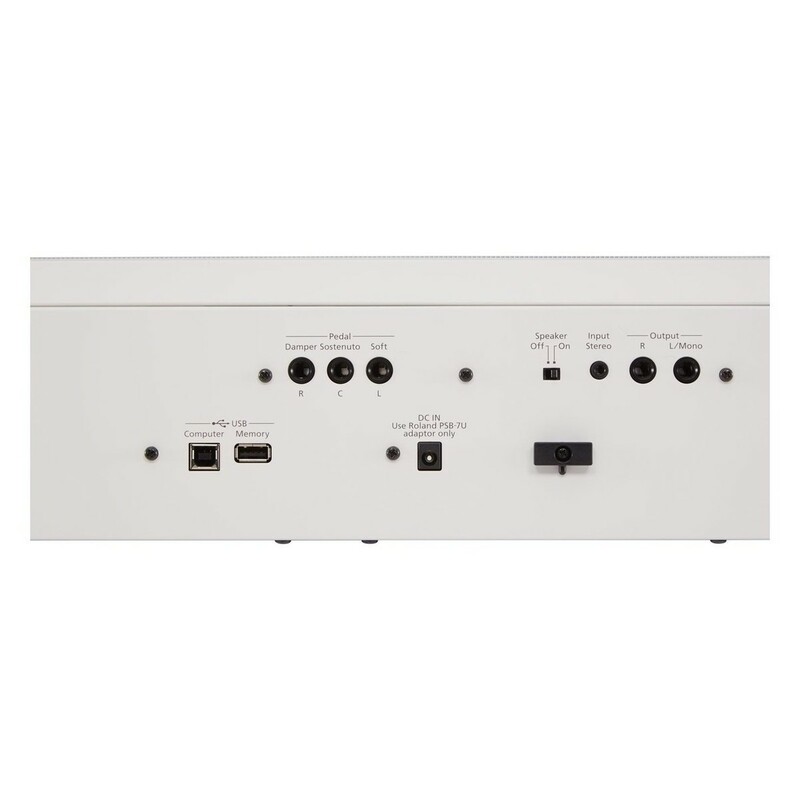 You can also use the FP 60 to simply stream your music, and use as a sound system. Creative players can also download Roland's free Piano Partner 2 app on their device which provides access to online rhythm accompaniments and much more. MIDI over Bluetooth is also available, and allows you to connect to GarageBand and other music creation apps. Based on the award-winning design of the iconic FP 90, the new FP 60 features a contemporary appearance with classic elegance. The light, compact design fits in tight living spaces and is easy to move when needed. For a more traditional setup, the optional KSC-72 stand and KPD-90 pedal unit (sold separately) provide an integrated look, while maintaining a much smaller footprint than a typical upright piano. 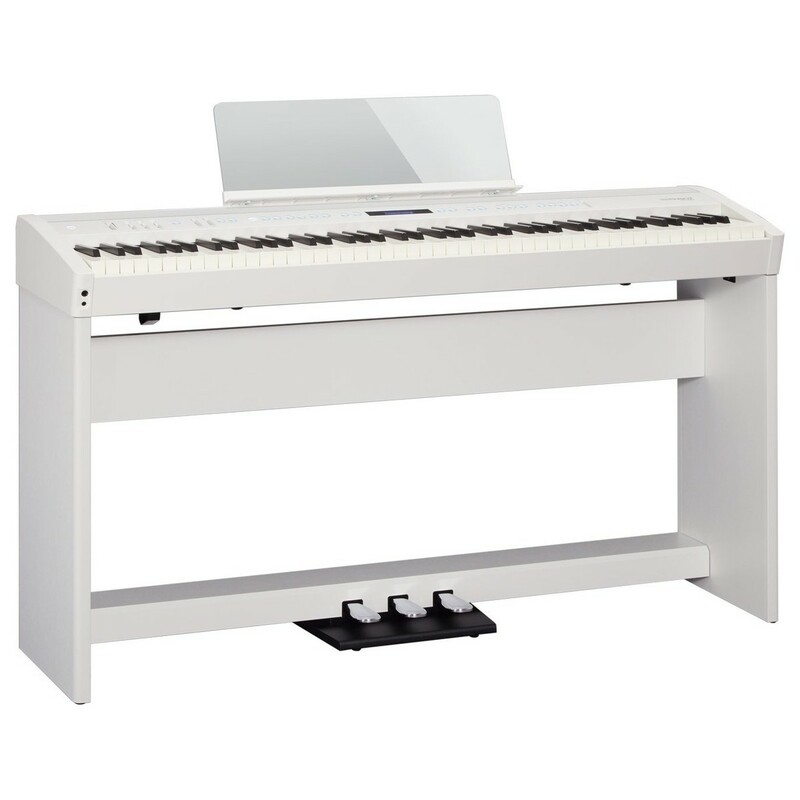 Available in black or white, the Roland FP 60 SuperNATURAL Digital Piano is a welcome addition to any room. The KPD-90 pedal provides an elegant integrated look which is ideal for the home. The pedal's configuration supports progressive damper action, which produces continuous response for traditional playing techniques. Suitable for advancing players, this triple pedal is the perfect accessory to complement your digital piano.